My cousin, who you see modeling in some of my pattern photographs, stopped by this afternoon as the bearer of a lovely gift! Her boss, Carrie, follows my blog and gave me a beautiful gift of vintage collars which belonged to her mother and grandmother. Aren’t they lovely? 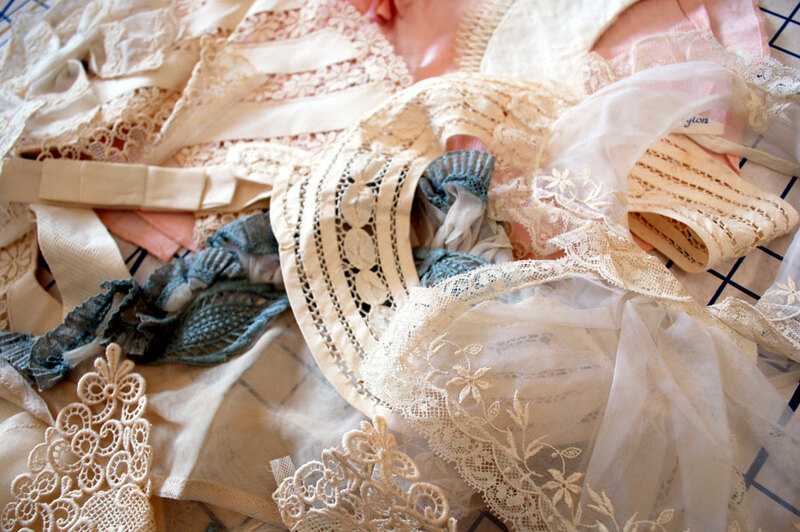 If there’s one thing that makes my heart skip a beat, it’s beautiful antique and vintage laces. I can’t wait to add these to some sewing projects! Thank you so much, Carrie, for your thoughtful gift! They will be cherished! 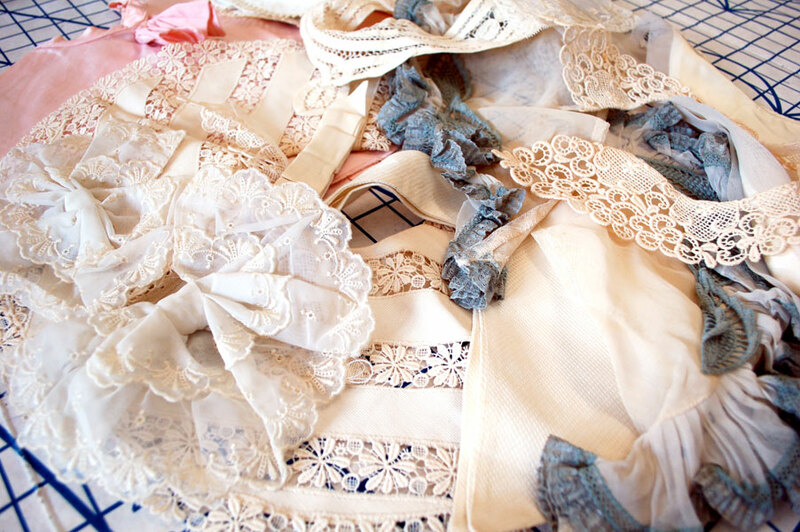 Welcome the the vintage lace addicts club! :D Good luck in your hunt, and if you find anything please do a show and tell post! Just luscious! No doubt you’ll find lots of pretty uses for them. How generous of your cousin. What a lovely gift, so beautiful. Amazing gift! I love wearing all kinds of collars :) these look so pretty! Wow, what a gift! And you’ll be able to go back and ask them for more detail on each one, if you want to. Luckkky. So beautiful! What a lovely gift! 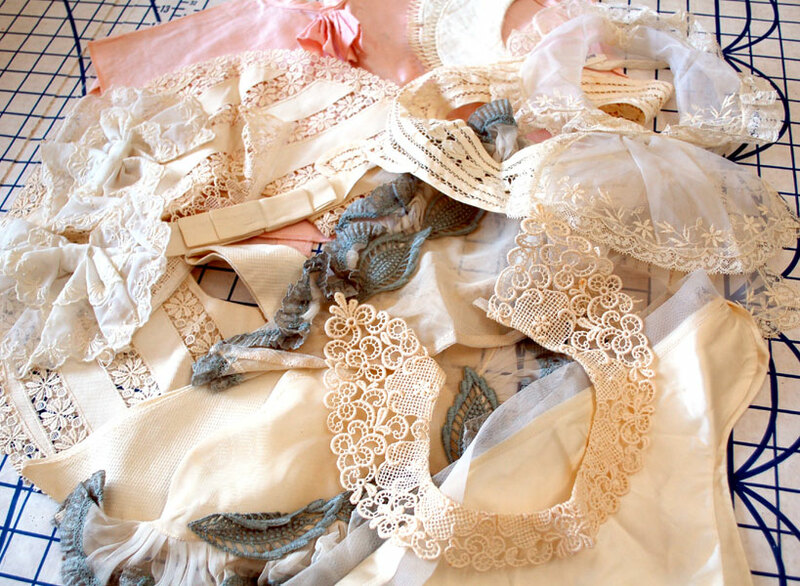 I love seeing the different types of lace that the collars are made out of. Lucky you! So pretty! Will you wear them or save them and study them?